I think about associations a lot, because I’ve been reading Freud. That theme has come up here before. But it’s not just some technical psychological thing. I’ll bet you’ve experienced this a lot, if you think about it. Things that aren’t associated, that you’re sure are proximate only as a matter of coincidence, end up being associated after all. Your experience is not just a big container with a lot of things in it. It’s a web that gathers things together. For Freud, this is why your dreams are so weird, as well as why you used that specific word when you misspoke, or why you forgot that particular thing. But even if you don’t know Freud, you know that feeling you get sometimes when things in your field of concern keep “hooking up” with each other, and your mind feels kind of like a cheap motel. 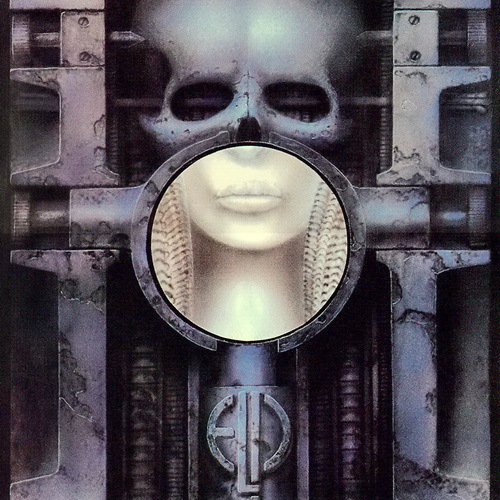 Thinking about “Dust in the Wind” led me back to Emerson, Lake & Palmer’s “Karn Evil 9” (all three impressions) from Brain Salad Surgery (1973). 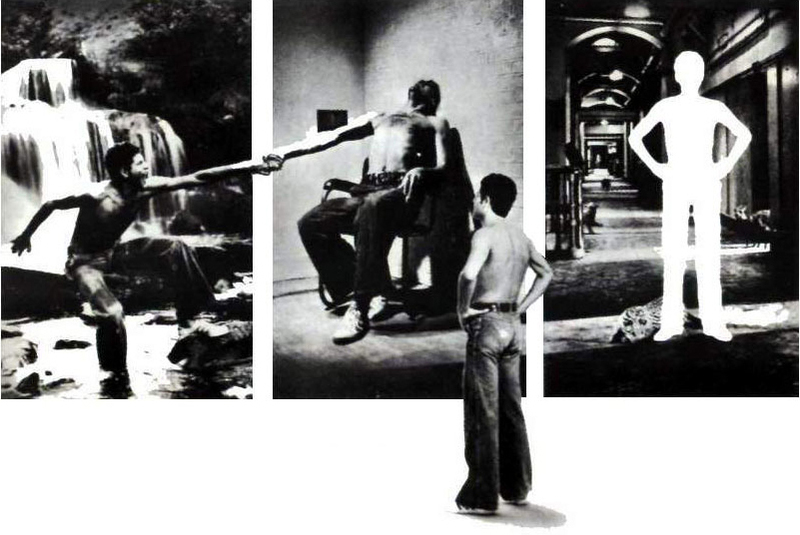 It was when I actually began listening that I remembered how mysterious and scary the concept of the piece had seemed back then, and went “Oh yeah, concept.” Sure, it’s a bit dated now in some ways, as almost always happens with “futuristic” stuff, but it’s still easy to see why a lot of folks point to it as the pinnacle of ELP’s glory years, and why its dystopian vision might still resonate. 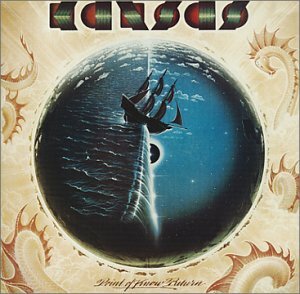 “Dust in the Wind” was used as a song title the year before the release of Brain Salad Surgery by Todd Rundgren on Something/Anything?, and then most famously by Kansas on 1977’s Point of Know Return. But ELP was THE band during my high school years, and the lyrical transition marked by the phrase in the Third Impression is the one that continues to echo most frequently. But here comes the surprise connection, back through the piece to the First Impression. What jumped out this time was “THERE BEHIND THE GLASS.” BANG!! I was back in The Lamb, where we find out near the end that Rael’s New York City is behind a “window.” Though there’s no specific reference to glass, “behind the glass” took me to that window, and to the disconcerting idea that a window has two sides. In the case of “Karn Evil 9,” what is behind the glass is “a real blade of grass.” The “behind” is what is on display, the content of the exhibit. That means, of course, that we (the spectators) are in front of the glass. The window in “The Light Dies Down on Broadway” is one that Rael could presumably step through to return (again) to New York City. But think about where he stands at this point. New York is behind the glass, is it not? It’s on display, exhibited like the evils of “Karn Evil 9.” One might think that to put something on display is to glorify it, to recommend it. Many people seem to think this is what happens when something is put on the screen. We debate about the extent to which life imitates art. Are we more violent because of violence onscreen? But we might wonder also whether putting something on display might remove it from the realm of real options. How likely is it that Rael would choose to return to the world from which he has now twice departed, however strong the gravity of John’s failures as a brother? I don’t mean to suggest that this is an “all or nothing” question, that we must decide yea or nay as if deciding on determinism or free will. I mean it, rather, as a suggestion that we reflect on the distance between screens and windows, when it comes to where “front” is. It’s a distance for which there’s not a scale or an instrument of measurement, but I hope that won’t stop us from considering it, from listening in light of it. And it won’t gel, or congeal. It won’t finalize. It will keep the indeterminacy and ambiguity that first allowed the associations to pull me in its direction. It’s still dust in the wind. But let’s try to feel its sting on our skin a bit when it’s blowing past. Excellent, Pete. I hope when you’ve done all twenty, you’ll compile them into one.